Gorgeous updates to this recently remodeled stunning 4 bedroom, 4 bath colonial. Entertainers will love this massive open kitchen with Viking appliances, cherry wood cabinets, and granite counters that flows to the dining room and family rooms on either end. Vaulted ceilings in master suite, walk in closet, jetted tub, separate shower, his and hers sinks, and private bathroom. Full finished basement with family room area, full bathroom remodeled with tiled steam shower, and extra storage in back. Large pergola deck overlooks the very secluded back yard that gives ample privacy during the spring, summer, and fall months. Backyard contains heated in-ground pool and lined with beautiful stamped concrete flower beds. Epoxy floors in huge 3-car garage. 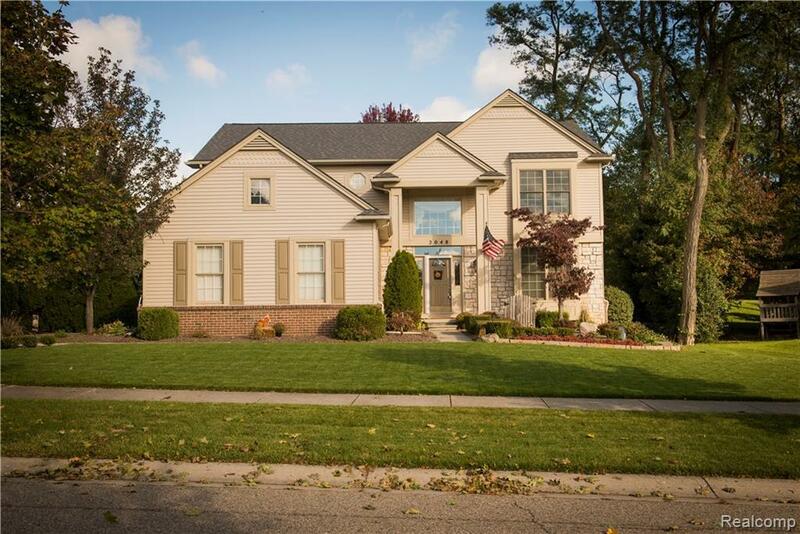 Home located in desirable Birkdale Pointe subdivision and in award winning Walled Lake School district. New roof in August 2018.